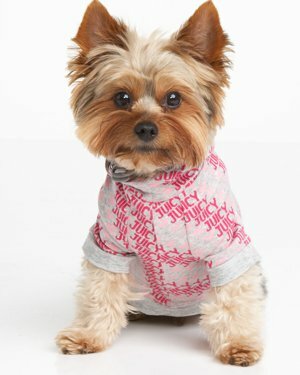 This Juicy Hoodie is sooo cute! From our collection of Juicy Couture for dogs. Shown above in pink/gray combo. Also available in blue/orange combo.